This lifting, anti-wrinkle and moisturising serum is the very latest innovation from the Laboratoire Dr Paul et Karin Herzog SA. 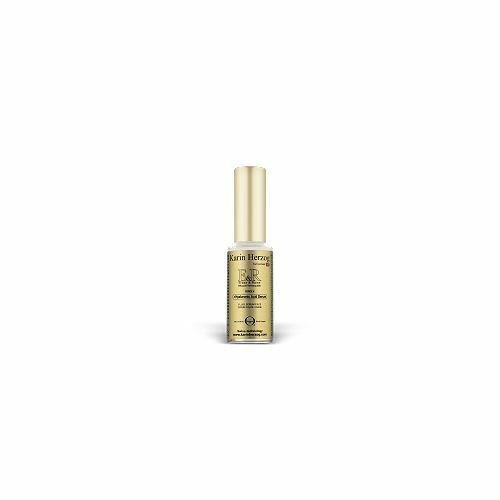 It contains naturally effective fine ingredients: Hyaluronic Acid, Vitamin E, Camomile and Niacinamide (Vitamin B3) - Many studies report Niacimamide evens the skin tone, brightens the complexion and diminishes hyper pigmentation. Hyaluronic Acid is incorporated into ‘ER’ in its smallest molecular mass, thus ensuring more effective penetration in the initial applications to the skin. Capable of absorbing 10 times its own weight in water, it naturally fills fine lines, smoothes the skin and has a remarkable moisturising effect. ‘Erase & Raise Force 4’ is perfectly blended for normal or combination skin types and is suitable for use with Vita-A-Kombi 1. I noticed a few dry patches on my face, was told it's time of the year cold/central heating etc and was told to use a serum. Karin Herzog was recommended and after doing bit of research this one seemed to come out tops and if it's good enough for Kate Middleton it's good enough for me! Got some advice from Grooming Clinic.com and tried this. Results within a week!! It really has solved my problem and my face looks/feels hydrated and moisturised. Really pleased. Thanks for advice. 10/10! !